Writer's Digest Books, 9780898799088, 171pp. Description is most powerful when it's visible, aural, tactile. Make your descriptions fresh and they'll move your story forward, imbue your work with atmosphere, create that tang of feeling that editors cry for and readers crave. Monica Wood helps you squeeze the greatest flavor from the language. She segments description like an orange, separating its slices to let you sample each one. 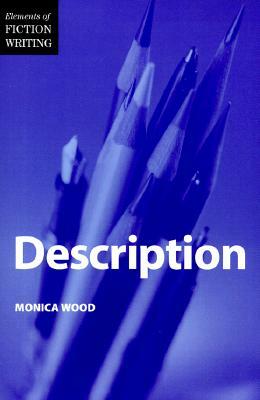 Wood teaches by example, developing stories with characters in various situations, to show you how you can apply description techniques. You'll also see samples of work by such noted writers as Mark Helprin, Anne Tyler and Raymond Carver. And you'll find the dos and don'ts, lists and descriptive alternatives to common verbs and nouns, and tips for editing your work.